For over 35 years, Sorbothane, Inc. has been - and will continue to be - the innovative and trusted choice of engineers worldwide for developing materials and components that isolate vibration, attenuate shock and damp unwanted noise. Sorbothane® is used in numerous industries as a solution to a wide range of challenges. From the aerospace and aeronautical industries to the sporting goods and fitness industry, Sorbothane provides innovative shock and vibration solutions. 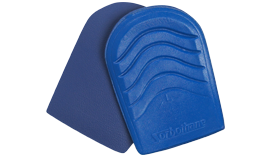 Sorbothane, Inc. has manufactured and supplied Sorbothane® Insoles for over three decades. Sorbothane® Comfort & Performance Insoles are recommended by doctors, sports medicine specialists and professional trainers. They can absorb harmful impact shock - defending against foot and back pain and helping to prevent impact-related injuries. Learn more about Sorbothane® Insoles. Since its beginning, Sorbothane, Inc. has been committed to producing superior, American-made products that protect and improve the quality and enjoyment of life. Learn more about the history and invention of Sorbothane®. 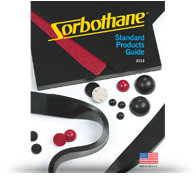 Sorbothane, Inc. serves widely varied market segments that all share the fundamental objective of Protecting Product Performance and Enhancing the Customer Experience.